Farmers Market | Health & Nutrition Service of Racine, Inc. The Farmers Market Nutrition Program (FMNP) is available during the local growing season (June - October). Through this program we, help you learn about area farmers markets and the benefits of adding locally-grown fruits, vegetables and herbs to your family's meals. The FMNP provides a one-time food benefit each year to WIC families. These benefits are obtained using a check that can be redeemed at local farmers markets. HNSR has a list of farmers markets located in the Racine County area that participate in this program and can accept these checks. 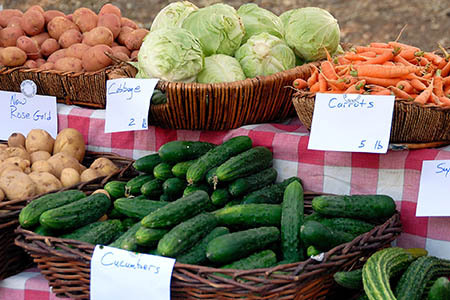 Farmers markets are a great resource during the summertime as they generally provide additional options to what is normally available at the local grocery store. 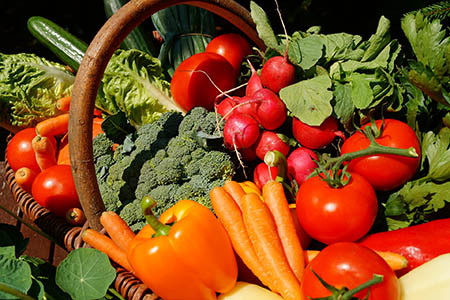 Locally-grown produce is a wonderful way to include more fresh fruits and vegetables within your family's diet. Many children love seeing the large variety of produce and the experience of shopping outside. In addition to the information received from our nutritionists, the farmers/vendors will be able to help you find what you are looking for and identify new items to try. Contact us today to learn more about this program and how it can benefit your family's health and nutrition. Copyright © Health & Nutrition Service of Racine, Inc.